Media & its Impact on Students life -really a very hot topic among the parents. Yes, it is very important issue that Media has greater impact on students life. That’s why most of the parents are worried about their ward’s career. Actually, Media has the capability to influence opinions, behaviours, believes, attitudes and values among the mass. The students must utilize it to find out the solution & updated information of their interests. Students should manage to devote at least one hour daily (half an hour in the morning & half an before going to bed) in these Media resources during schooling. Because it can be very helpful for them to shape a sound foundation to qualify any competition & face challenges more confidently & achieve what they want to achieve in their respective fields for a brighter career option. Dwarka Parichay has been serving society since last 11 years by sharing latest news-events & useful information. 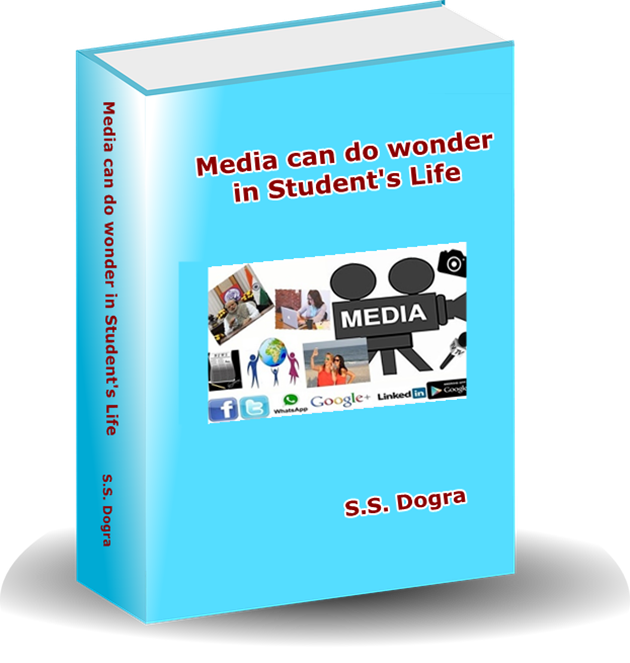 Our Mg. Editor Mr. S. S. Dogra’s book “Media can do wonder in Students Life” is ready for publication. You are requested to support with pre-order for this book at above link & your name will be listed IN THE BACK OF THE BOOK ( for your benign support & contribution). Please forward this message to your friends. Mr.S.S.Dogra is an Art Graduate from University of Delhi &a B.Ed. (English & Social Studies) from M.D.University, Rohtak, Haryana. He is P.G. in Journalism & Mass Communication from IGNOU & done Basic Diploma Course in Photography from IIPC, Triveni Kala Sangam, New Delhi. Mr. Dogra has been in the Media field for the last two decades & he has tried to put all his academic & practical experience in his latest book “Media Can Do Wonder In Students’ Life”. It may be very useful book for the students of IX to XII class to create basic media skills in them along with career option in Media. जी हाँ, मीडिया को विद्यार्थी जीवन में ही सदुपयोग किया जाए तो अदभुत चमत्कार के साथ ही स्कूली बच्चों के उज्जवल भविष्य बनाने में मील का पत्थर साबित हो सकता है . मीडिया, विद्यार्थी जीवन में बहुत महत्वपूर्ण स्थान रखता है जो किसी भी स्कूली छात्र-छात्रा को परीक्षा में अच्छे अंक हासिल करने के अलावा सफल कैरियर बनाने में काफी लाभकारी साबित हो सकता है. इन्ही विचारों का ताना-बाना बुनकर एवं मीडिया स्किल विकाससित करने के उद्देश्य से ही वरिष्ठ पत्रकार एवं द्वारका परिचय समाचार पत्र समूह के प्रबंधक संपादक एस. एस. डोगरा ने अपने लगभग बीस वर्ष के पत्रकारिता अनुभवों से युवा पीढ़ी को अति महत्त्वपूर्ण विषयों को समेटने का प्रसंशनीय प्रयास किया है. डोगरा जी दिल्ली विश्वविधालय से कला विषय में स्नातक, एम. डी. युनिवेर्सिटी, रोहतक, हरियाणा से बी.एड.- (अंग्रेजी माध्यम में) तथा इग्नू से पी.जी. डिप्लोमा इन जर्नलिस्म एंड मास कम्युनिकेशन के अलावा त्रिवेणी कला संगम से फोटोग्राफी में बेसिक डिप्लोमा भी किया है. 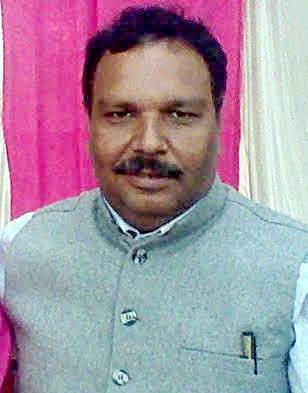 अपनी अंग्रेजी में लिखी पुस्तक “मीडिया कैन डू वंडर इन स्टूडेंट्स लाइफ” के माध्यम से मीडिया के अनुभवों एवं मीडिया में कैरियर सम्बन्धी विषयों को साझा किया है.